Being fit includes taking care of your teeth. If you don’t, it may affect your overall health, and you might wind up losing your teeth. When you lose teeth, they have to be replaced with artificial prostheses such as dental implants, or bridges, unless you don’t mind not being able to chew your food. Dental prostheses are very expensive. Preventive care saves money by avoiding tooth loss. Practicing preventive care starts at home with brushing and flossing, and goes a long way to saving your teeth, and your overall health. Brushing and flossing are equally important. Floss after you eat to remove food particles between your teeth. The longer you wait, the more bacteria will grow between your teeth. The bacteria forms plaque. Plaque hardens and eventually forms tartar. Tartar has to be removed by a dental hygienist using dental tools to do a thorough job. If tartar isn’t removed you’ll wind up with gum disease. Gum disease leads to tooth loss. Poor oral health can cause serious illness, such as endocarditis (infection inside the heart valve), premature birth and low birth weight, diabetes, hiv/aids, osteoporosis, Alzheimer’s, and stroke. Mayo Clinic: Oral health – A Window To Your Overall Health. ABC News: Man Dies From Toothache – Couldn’t Afford Meds. JADA: Poor Oral Health Linked With Coronary Heart Disease. CDC: Preventing Cavities, Gum Disease, Tooth Loss, and Oral Cancers. 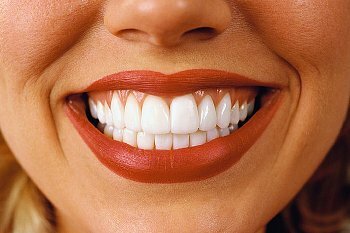 New York Times: Paying For Dental Implants. Posted on April 5, 2013, in Chronic Disease and tagged brushing, dental disease, flossing, oral health. Bookmark the permalink. Leave a comment.